A couple of weeks ago, a few tutors at the Santa Fe campus had a surprise waiting for everyone in the student-run coffee shop, The Cave, after seminar. 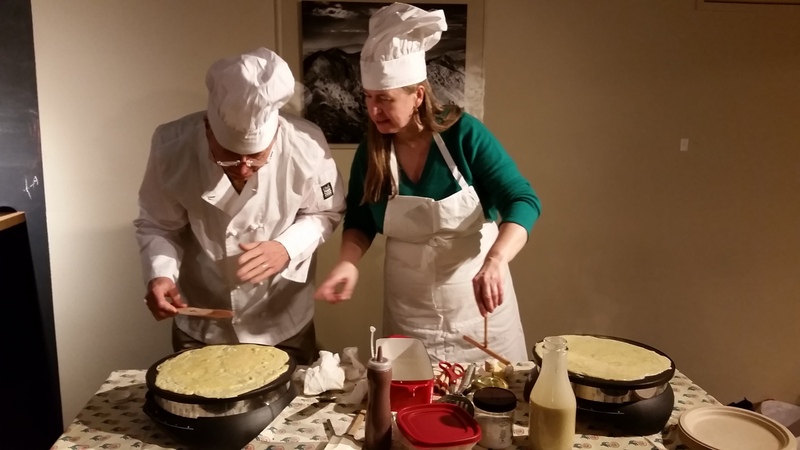 With french music playing, and adorned in toque and apron, they served up some mighty fine crepes to any student who happened to have a little hunger for Nutella. Thanks again to Ms. Adam and Mr. and Mrs. Stickney. This kind of community is part of what makes St. John’s so great.